This is the big-headed version of the popular R9 TP Driver. The maxed-out 460cc adjustable driver gives you the adjustability of a ginormous clubface. With TaylorMade's Flight Control Technology (FCT), you can change the head to eight different positions. FCT will give you up to 40 yards of right/left variance ranging from 2 degrees closed to 2 degrees open and the lie from 1 degree upright to 1 degree flat. Plus, you have movable weights that help you refine your direction and feel. I really like this driver, and unlike other drivers that will be obsolete in a few years, I think this one will hold its own for many years to come. This is especially true for you higher handicappers that can adjust the face closed to correct your slice, and as your swing improves, simply move it back to neutral. For you lower handicappers, you may find an advantage to adjusting the driver open to eliminate that fear of going left. 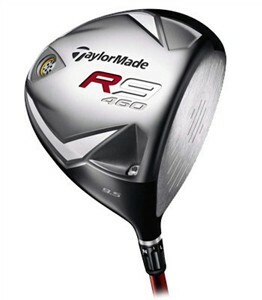 That being said, I would point the better golfers to the R9 TP Driver. The TP Driver has a smaller 430cc head. It isn't as long as this big monster, but the more traditional size and shape is more playable. In addition, the FCT in the TP Driver gives you 75 yards of right/left variance with 3 degrees of loft.